We are constantly surrounded by thousands of colors and tens of thousands of shades. Many people face tasks when they need to choose the right shade. These are designers, content managers, programmers, and others. To make their work simpler, various color tools were created. Some of these services help to choose the necessary shade from a color palette while others allow you to check the code of a certain color. This article contains a list of 40 convenient color services for different platforms and needs. So let’s finish the introduction and get down to business. The primary advantage of these color pickers is their ability to work on any device regardless of its type or operating system. This is also very convenient for those who often travel and spend a lot of time far from their home or work. As the systems are web-based, they don’t need to be installed or configured every time. Just go to the necessary website. Consequently, the main drawbacks are dependence on the Internet connection and browser-limited color extraction. A simple tool for picking colors and combining different shades. 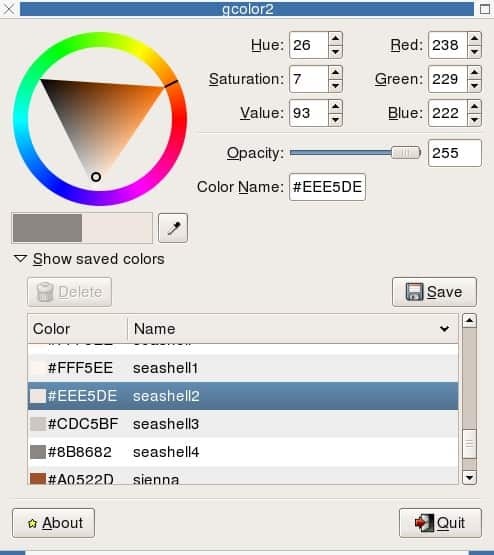 First, you need to choose a color palette and then select one of the suggested shades. You can also get the code of a color in different formats. This is an interesting and very unusual color picker in the form of a webpage. The page changes its color depending on the position of your mouse. The site also includes various palettes and color schemes that work similarly. When you find a color you like, just to click on its code. 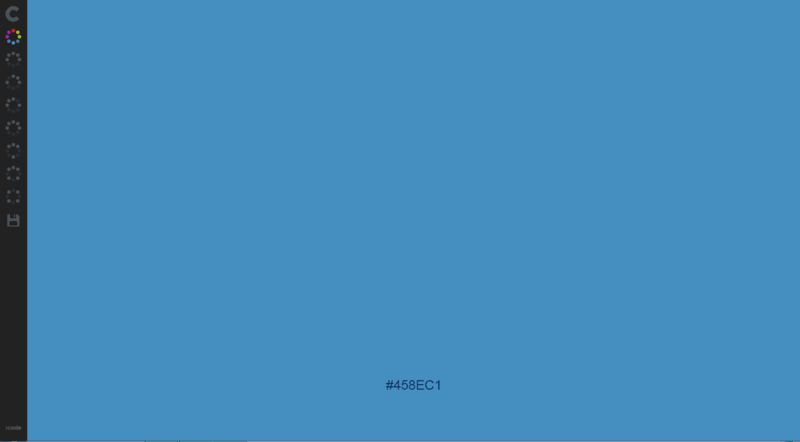 After that, you continue working with this color and can change its shade or check how it is named in different formats. 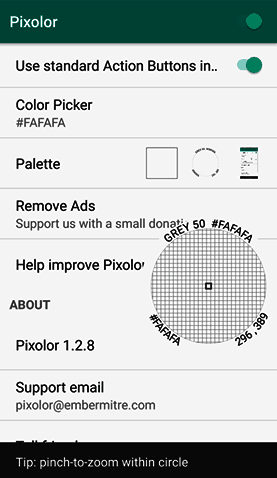 Here is another color picker that can be used to combine different shades in a quick and convenient way. When you are editing one color the rest are changing automatically. In addition, every shade has its codes written in different color models below its image. 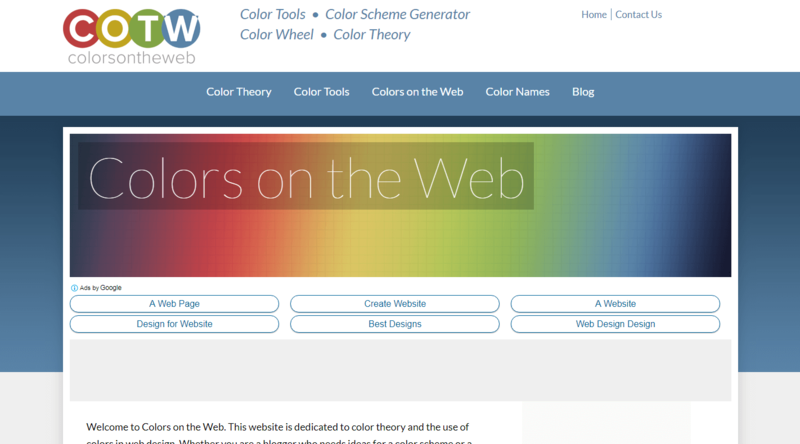 On this site, you can use a service for picking colors and defining color schemes. Also, it has a lot of information on the color theory. An original service you can use to get all colors from the necessary website. For example, its home page includes the results of the analysis of various well-known web resources: Facebook, Instagram, Microsoft. 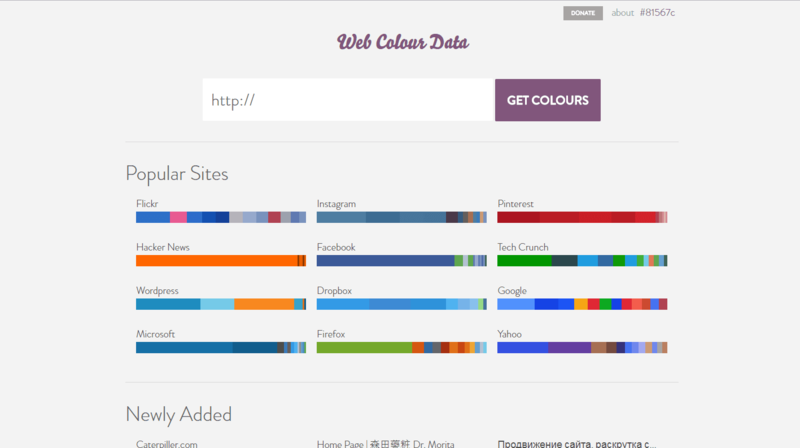 To analyze a website, insert its URL in the corresponding field and click on the Get colors button. In addition to the list of colors and their ratio in percentage, you will also see some specialized diagrams. It’s a multifunctional color picker in which you can instantly see and compare several combinations of colors. Also, it has the preview of the chosen color on a test webpage, which is another interesting function. It also worth mentioning that Paletton can simulate how users with vision impairments see a certain shade. This color picker is designed by Adobe and includes all the necessary tools for color selection. It has several built-in color schemes and allows comparing shades. 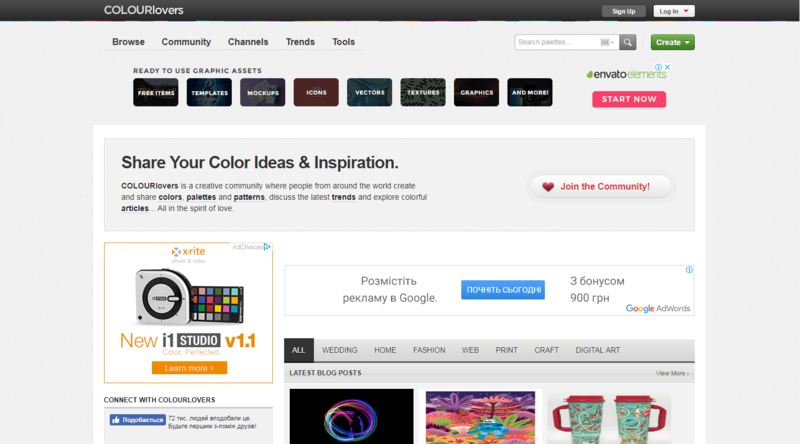 In addition, you can save color themes of other users and utilize their best practices. 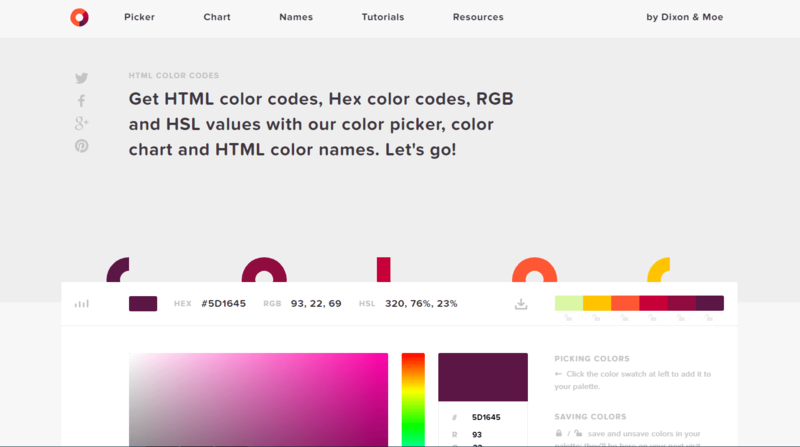 This isn’t just a color picker, but a whole platform for designers. Here you can find color palettes, ready-made combinations of shades, prints, and other useful materials. Also, this platform has its own color picking tool that will be described below. 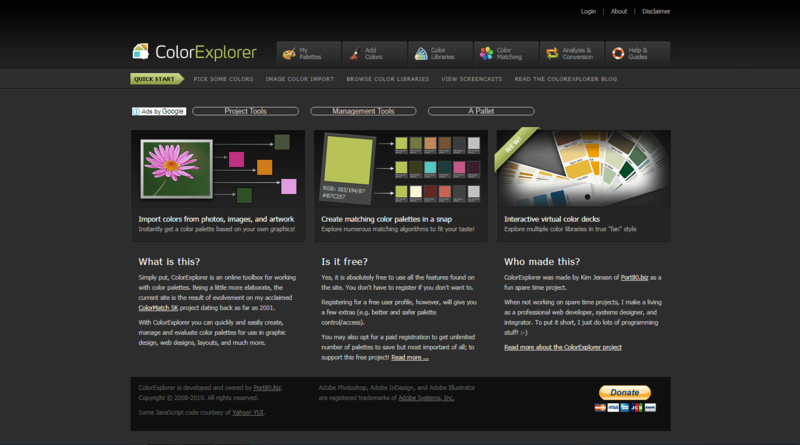 This tool is a part of larger Colourlovers service and provides all main features of color pickers. For example, you can select a color on a circular diagram or by changing its parameters. 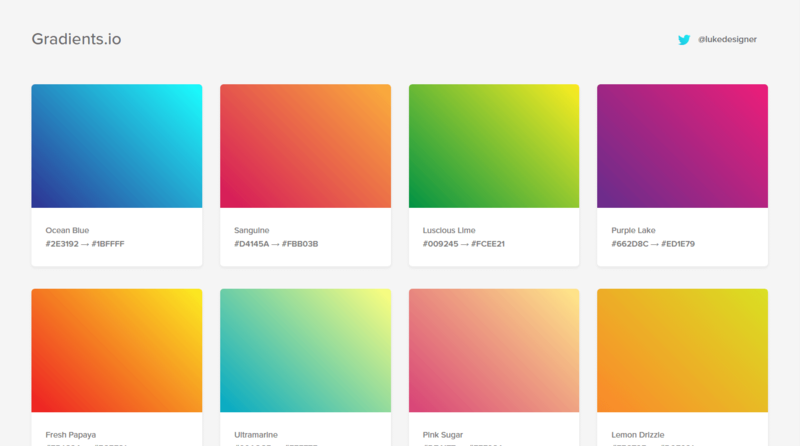 In this color picker, you can create and save your own color palette, choose a color from the existing ones, or set it with other color picking functionality. 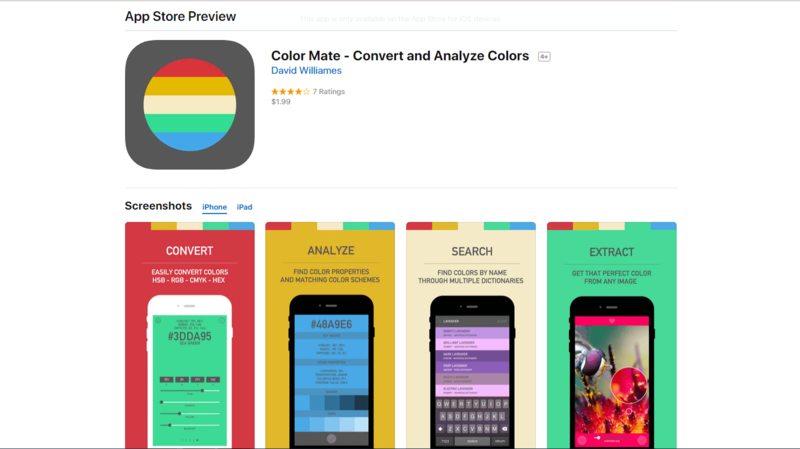 This is another interesting service for both creating your own colors and viewing the existing ones. On the main page of this site, you can view the list of other users’ works categorized by colors, palettes, gradients, templates, and images. 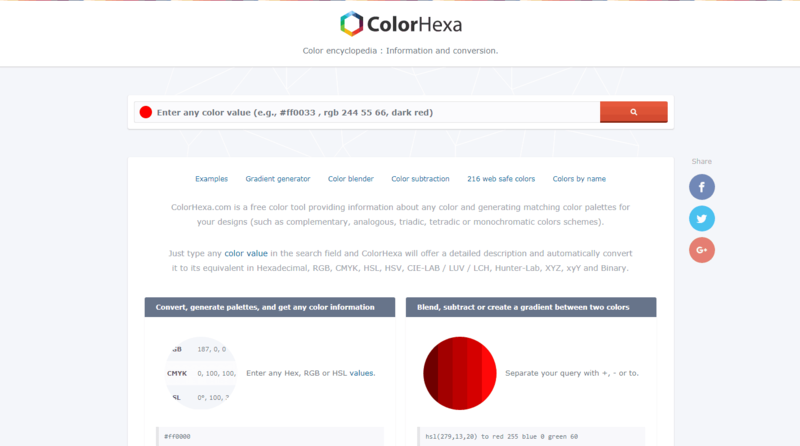 Colorhexa is a color picker with broad functionality. Using it you can easily find all the necessary information about any shade. In addition, you can also view how people with different vision impairments see the chosen color. In Gradients, you can quickly pick the gradient you need. 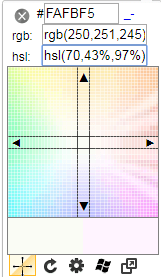 The site has samples of color transitions and shows the information about the initial and final shades. With this color picker, you can select colors and shades. Also, thanks to its user-friendly interface you can easily check the code of a color in different indexing systems and view similar shades. This item in our TOP is probably the most unique. If you need a simple color picker, you just have to google “color picker” and after that, you will see a palette like the one above. Chrome Dev Tools are developer tools for Google Chrome. 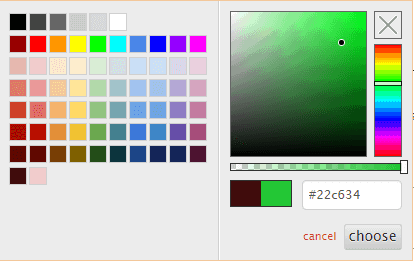 Nevertheless, here you can also find a color picker. First, access the developer tools. To do this, use Ctrl + Shift + T shortcut or right click the website and choose View code in the context menu. For example, try to select an element and view its color in the style window. 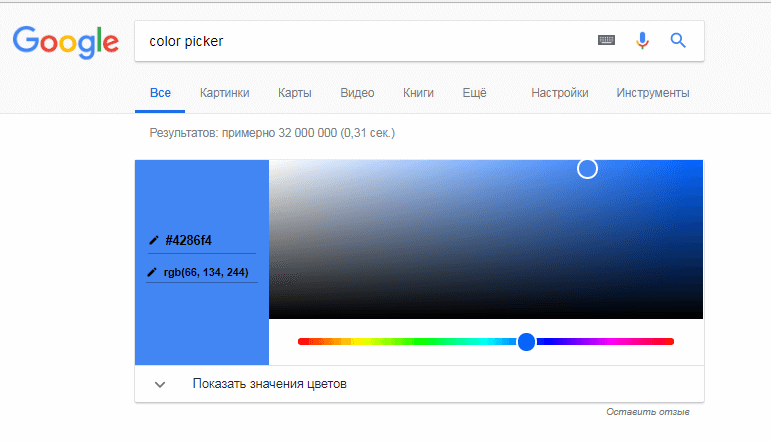 This color picker is an extension for Google Chrome. It allows you to easily choose a color from a palette or check the color of any element on a webpage using an eyedropper. 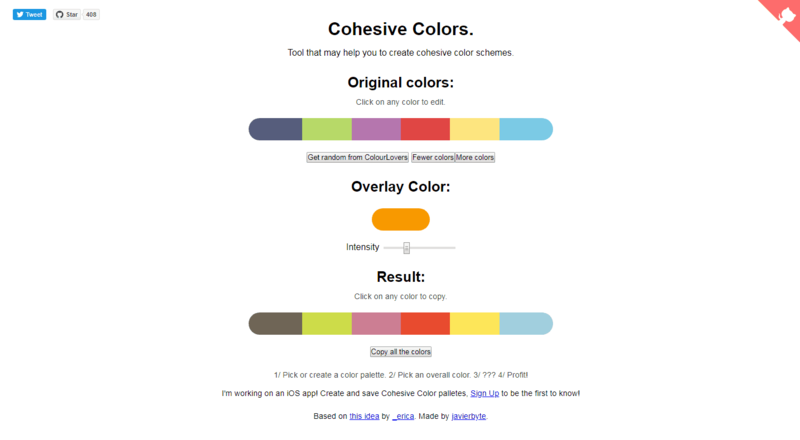 Another browser extension that can define the color of any element on a webpage. You just need to install the app and hover over the necessary item to check its color. The peculiarity of this type of programs is their use on desktops and very often with a certain operating system. The key advantages are an offline mode and the opportunity to work with all kinds of windows. So while in web-based services you can extract colors only from web pages, with desktop color pickers you are not limited to a browser window. In addition, you can also set hotkeys to improve convenience or add these programs to startup to save time. 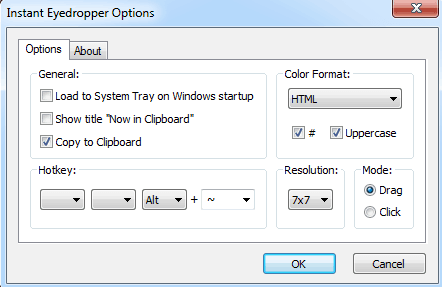 Instant Eyedropper is the first color picker designed for Windows OS desktops on our list. Using it you can quickly get any color, view it in different formats, and copy its code. Just Color Picker is a portable program, which means that it doesn’t require installation and can be used immediately after the download. With its help, you can easily extract any color of PC’s windows and view its code in 12 formats. 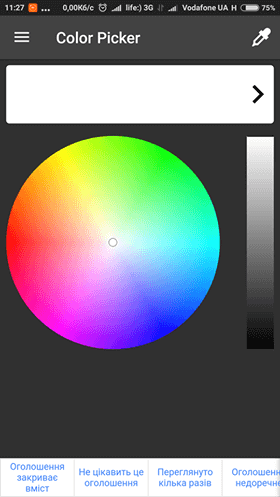 Additionally, you can make a color circle of the chosen color while hotkeys considerably speed up the work. 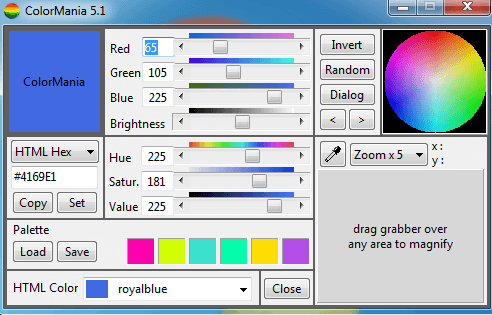 Colormania is among the most popular desktop color pickers. It has gained popularity thanks to its convenient interface, shade selection and comparison option, and numerous color models. The zoom of an eyedropper is an additional great function. Using it you can magnify the necessary fragment to define its color with maximum accuracy. 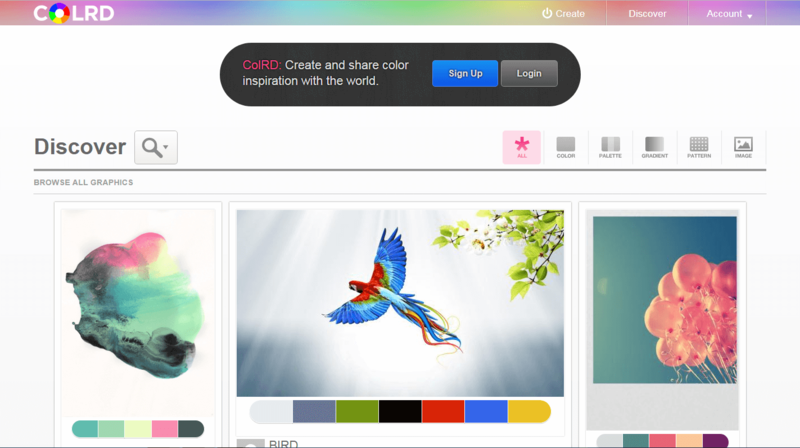 ColorPic is a desktop application for picking colors. 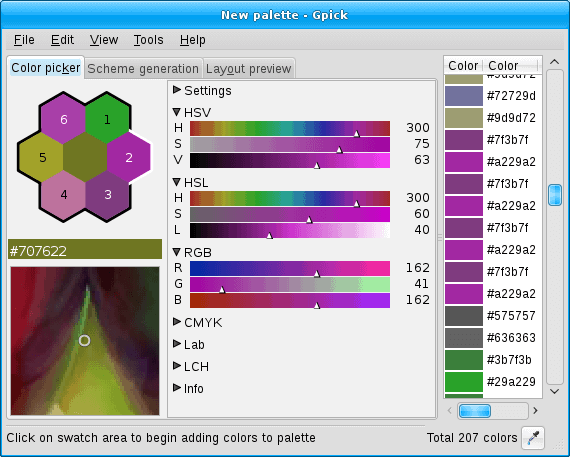 It has a broad functionality: several built-in palettes, different color picking modes, zoom, grid, shades comparison, etc. This color picker is a great example of minimalism. It shows color based on the position of a mouse and provides it in different formats. 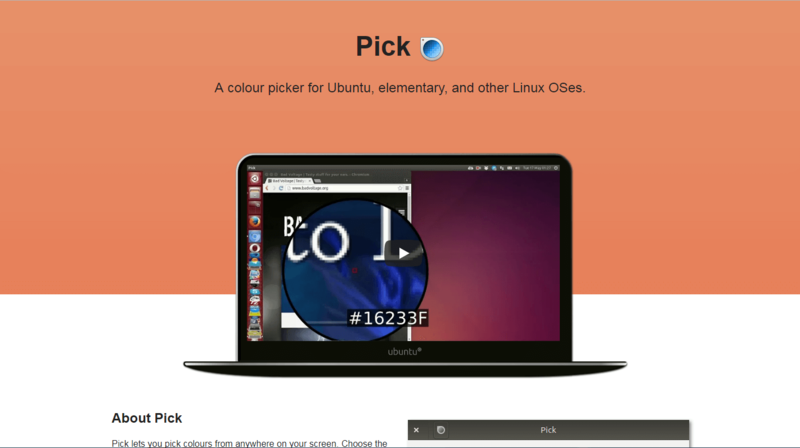 This is the first color picker designed for Linux OS on our list. It has all the necessary functionality for picking shades and extracting colors. It is quite popular thanks to its convenient graphical interface. This color picker is known for its minimalist design. Using Pick you can extract colors when you hover them over and compare them. It can also remember from what picture the shade was taken. Another Linux-based program in our today’s top. It has a standard functionality, which includes a shade palette, an eyedropper, and a color code option. 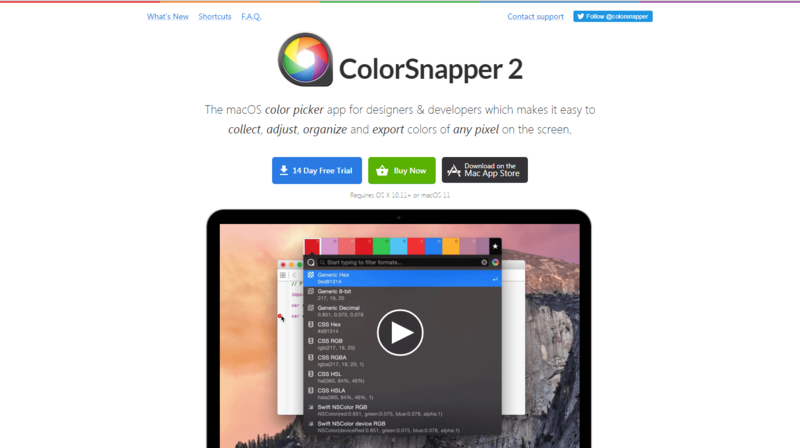 ColorSnapper 2 is the only program designed for X OS on our list. It has a user-friendly interface and a set of hotkeys for the fastest work possible. Here you can easily pick a color using a multifunctional eyedropper. In this section, we will talk about mobile color pickers. Today there are two most popular operating systems – iOS and Android. Since web-based services sometimes don’t work properly on mobile devices, the corresponding apps were designed. 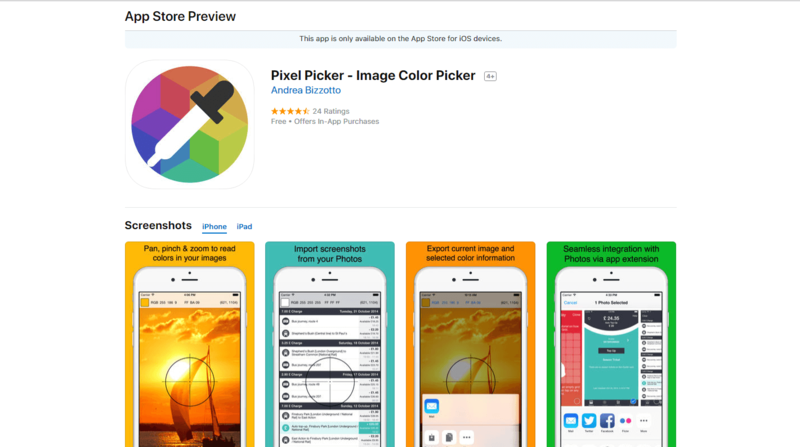 This color picker is developed specifically for iOS. It has a built-in eyedropper and color palettes which allow you to choose the right color and shade. 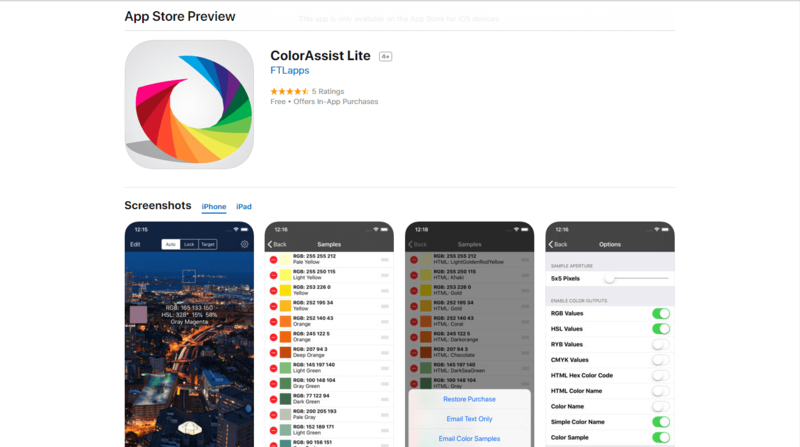 This app can help you to get colors from any iPhone or iPad screen. Using a convenient eyedropper you can do this with maximum ease and speed. Another app for iOS which can define the code of a color on any screen of your device. It’s highly valued by users due to its convenient functionality, numerous color models, and eyedropper zooming. With the help of Color Mate, you can both extract a color using an eyedropper or continue modifying a color until you get the necessary shade. 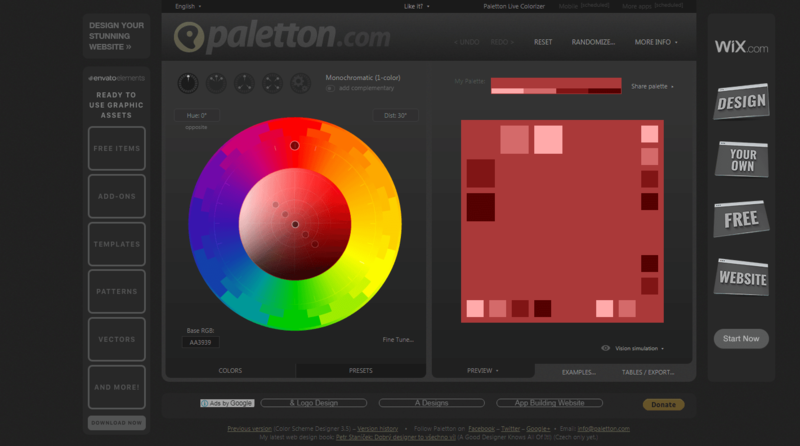 You can also compare and search colors by palette. A simple color picker which allows you to get colors from any screen of your device. It has a minimalist interface and a convenient eyedropper. An interesting position in our TOP to pick colors using a camera or a palette. In the camera mode, the image from your camera is captured allowing you to check colors of items around in real time. 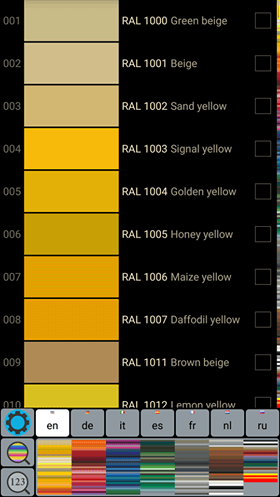 A convenient and simple to use catalog of colors for Android. With this app, you can easily pick the necessary shade from the large list of options and view it in different formats. 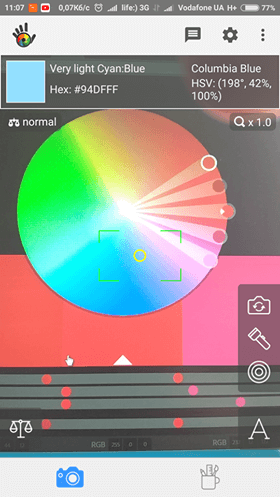 Color Lab is an Android app with an eyedropper, palettes, and other color picking tools. The opportunity to save colors and broad functionality are additional advantages of this product. 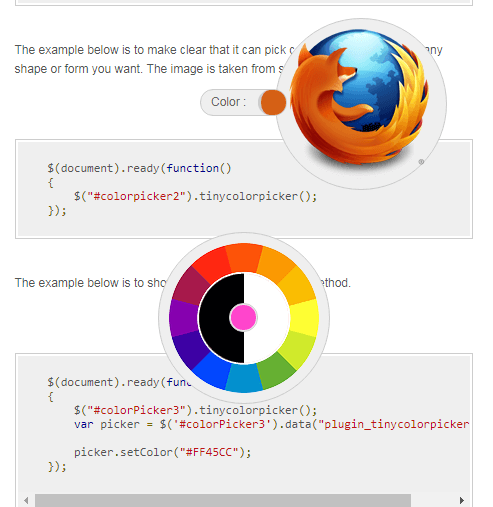 This color picker is a JQuery library which you can just embed on your website. 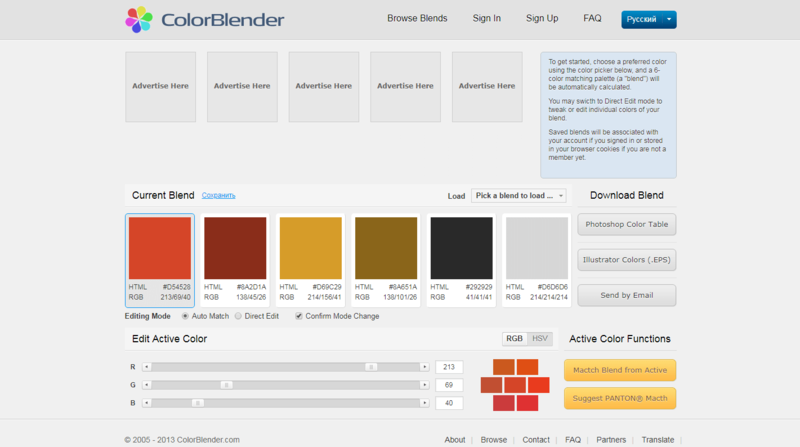 Here you can both select a color or choose an option from the existing palette. Spectrum is based on HTML5 and JQuery, hence it works in the majority of modern browsers. With this color picker, you can select and compare shades. Thanks to its architecture, it’s easy to install on a website. 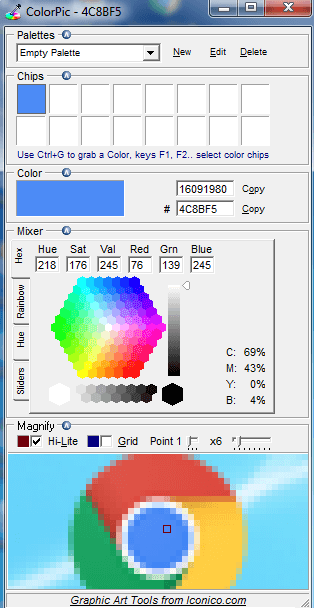 Using this software, you can easily pick any color. An interesting feature of Pick-a-Color is that you can select colors not only with standard blue, red, and green parameters but also with other combinations. 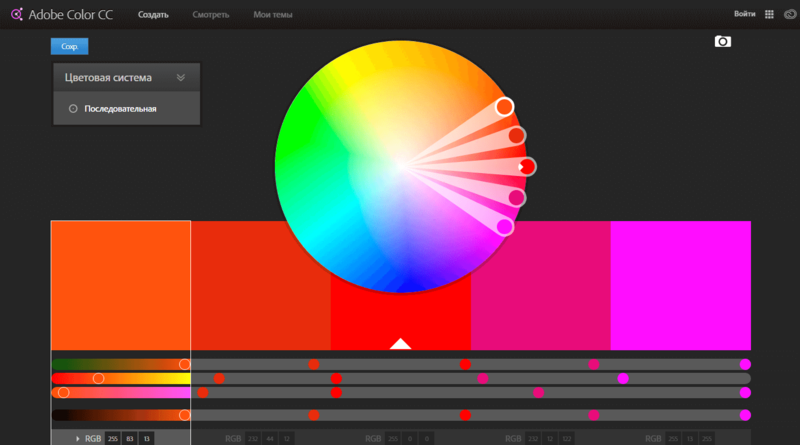 This JQuery plugin helps to pick colors and compare shades. Color Picker is similar to the tool in Photoshop. The main advantage is the ease of integration on a website. 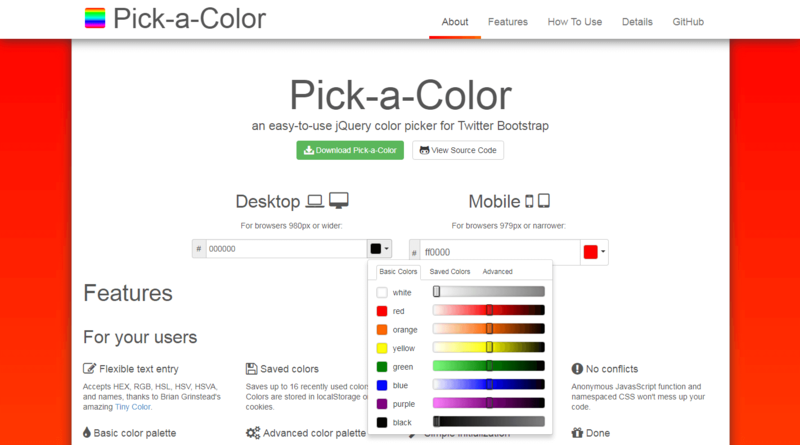 Here is the last JQuery plugin for picking colors on our list. It works as a color circle divided into sectors by shades. After you choose the necessary sector, the code of a color will appear at the bottom of the page. 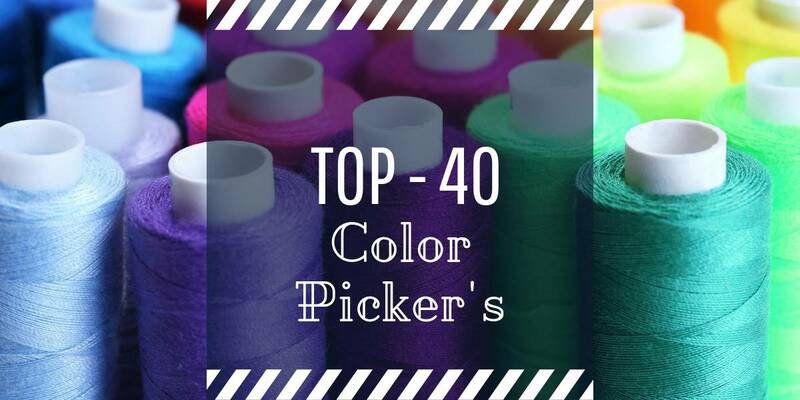 Here is the end of our TOP 40 color pickers list. We hope both average users and designers whose work is directly connected with colors have found it interesting. 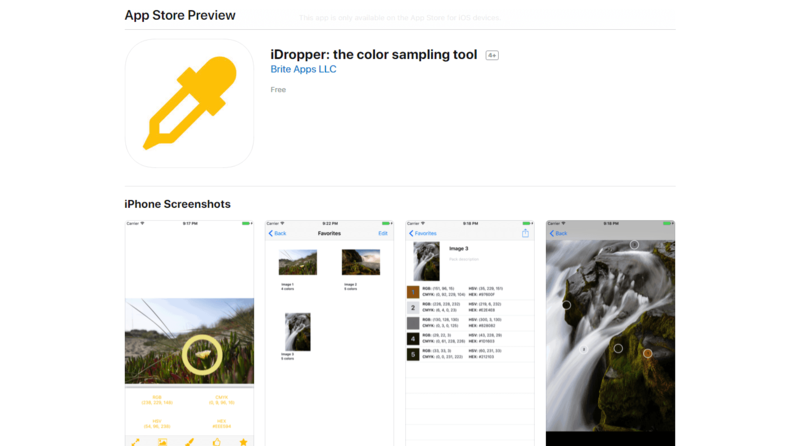 Now you can easily choose the necessary color picker regardless of the platform you work with. Thank you for reading this article. Stay with us as there is a lot of interesting waiting ahead!